ROBELLE HOTEL offers you good value, comfortable rooms, complete facilities, central location, and accommodating, courteous and friendly staff. We are duly accredited to represent Robelle Mansion Hotel to offer our clients and guests comfortable hotel accommodations while staying in Makati, Metro Manila's central and commercial business district. 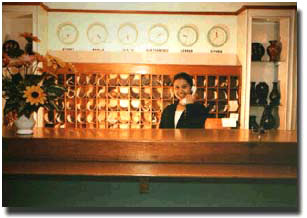 Standard, deluxe and suite rooms are available at standard daily and monthly rates, with no overcharging. 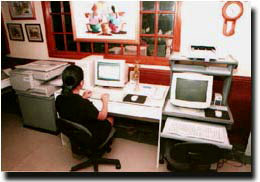 Guests can also avail of business center facilities including computer rental, internet access, fascimile, photocopying, and secretarial services. Long-term fully-furnished rooms are also available. Note: Electricity deposit remain in the hotel’s custody until guests check out and actually electricity bill shall be credited to the deposit. Any excess shall be refunded. ***All rates include VAT and service charge. Please fill out the following information to begin processing your reservation at Robelle Mansion. ALL fields must be filled out. The reservation will be held on behalf of the person filling out form.